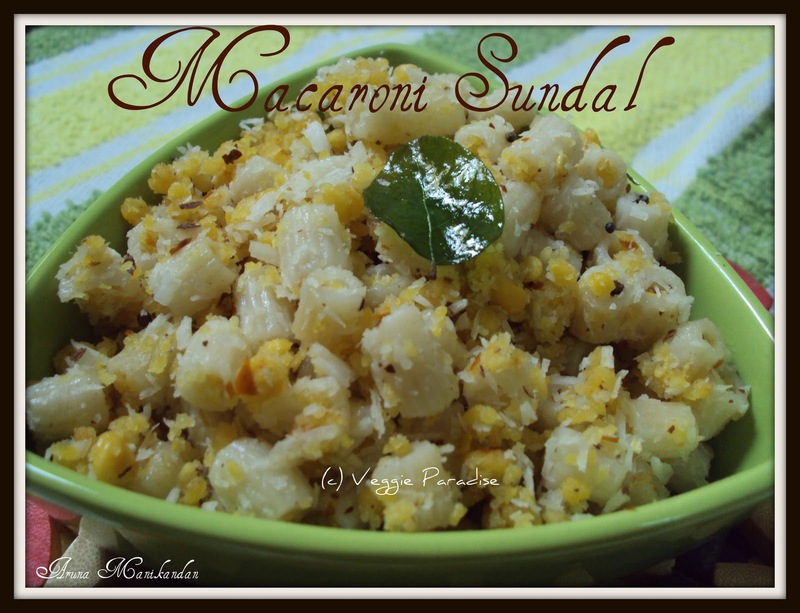 This is a wonderful tea time snack with macaroni.A slight twist from the usual macaroni with white /tomato sauce . Boil water and add macaroni along with salt and little oil. 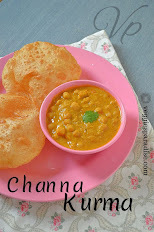 Soak Channa dal in sufficient water for half an hour and grind them coarsely with red chillies. Heat oil in a pan, add the mustard and urad dal, when they stop spluttering add the curry leaves and saute for a min. Add the grinded Channa and saute them well. Now add the cooked macaroni and adjust the salt . Finally add the grated coconut and mix them gently. never seen anything like this before..nice innovative idea dear. very interesting, using macaroni for a change is such a nice idea...worth trying.. 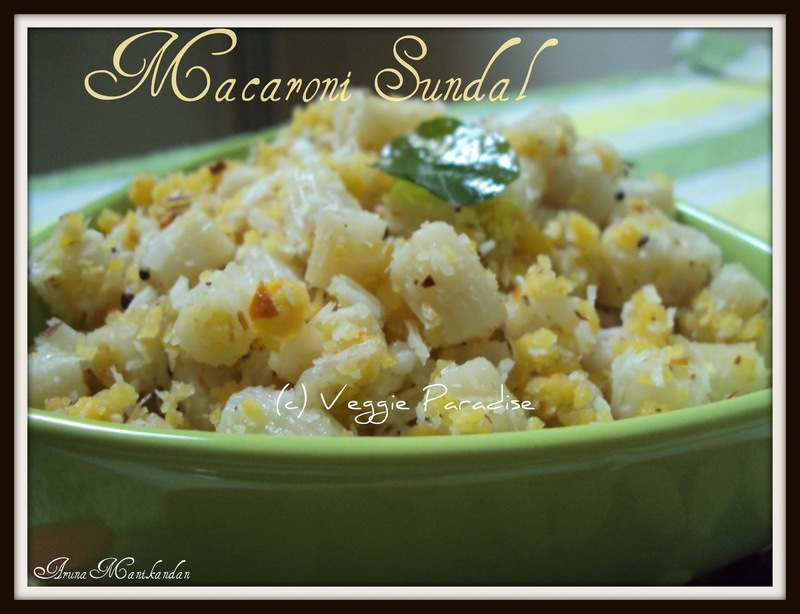 Innovative sundal. WOnderful idea of using macaronis. 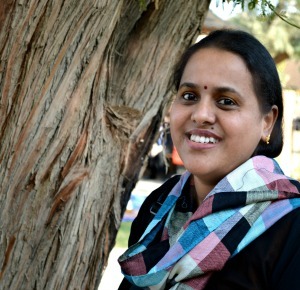 Very nice version Aruna, this is surely west meets south. seems healthy n innovative..thanks for the recipe da.. Very interesting - unique recipe, wanna try it. very new but looking tempting and easy to make. I like your indianized versioin of macroni, very interesting recipe. Wow, what a picture, i can guess how much delicious this food is..
Nice Receipe.. I will do it. Delicious, You guys are rocking. What a nice medley of flavors. Bookmarked this recipe.